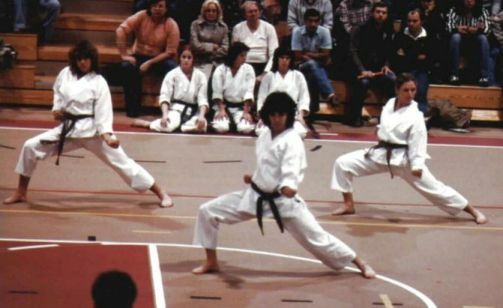 1982 AAKF National Championships, Minneapolis. 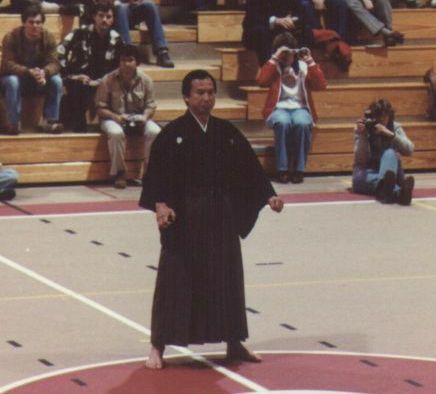 Sensei Enoeda demonstrates kata in traditional garb. UConn Womens Collegiate Kata Team (2nd place) - Daria Moravek, Matte Thomas, Karen Anthony. 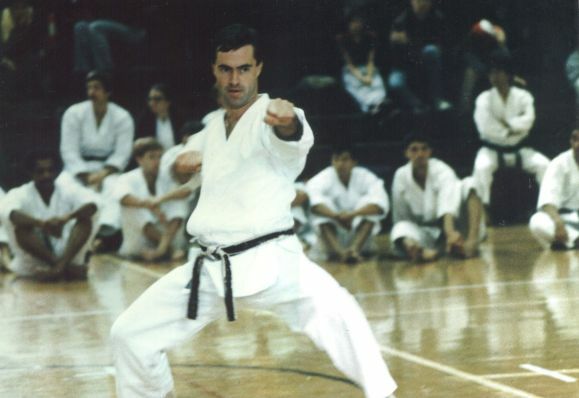 Bob Jacobs performs the kata Sochin. 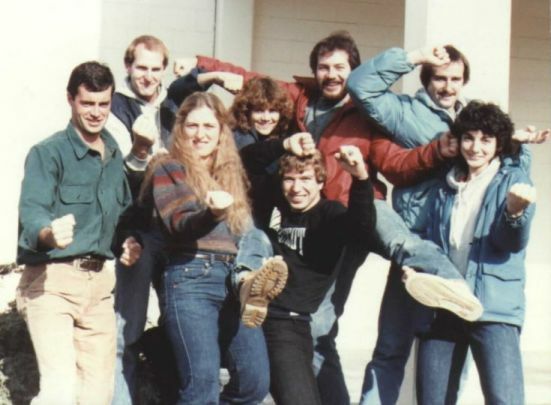 The UConn team - Bob Jacobs (4th mens kumite), Jim Klucznik, Karen Anthony, Daria Moravek, Tom Sbabo, Mark Blake, Tom Hine, Matte Thomas (4th womens kumite, 1st collegiate womens kata). 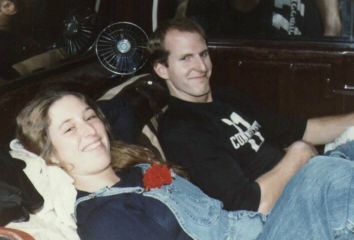 Karen Anthony and Jim Klucznik relax in the back of the "Silverado" on the long drive back from Minneapolis.